At Artisan Salon Interiors, we build completely customized retail display walls for tanning salon owners across America. Naturally, anyone who owns a tanning salon wants to maximize their use of the available space. This can be accomplished in a variety of different ways, and yet, one thing virtually all successful tanning salons have in common is space dedicated solely to the display of retail merchandise. Therefore, when it comes to the retail display area of your tanning salon, don’t settle for just any type of configuration. Instead, allow the retail display experts at Artisan Salon Interiors build a display that’s perfectly suited for your particular business needs. Whether you own a large tanning salon in Atlanta, or a smaller space somewhere else in the country, our wide selection of retail display units is sure to include the right system for you. 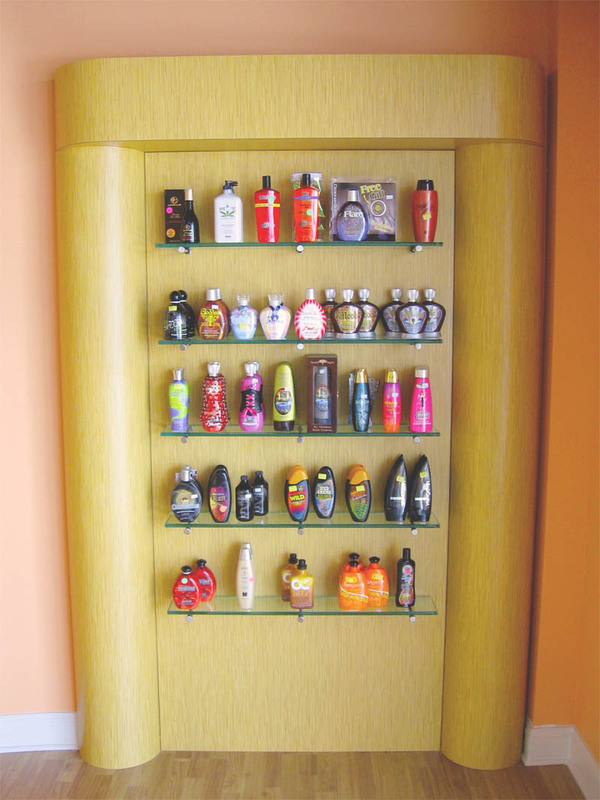 From open-air displays with glass shelving to “slatwall” displays available in a range of different colors and finishes, our custom-built retail displays are guaranteed to raise the profile – and profitability – of your tanning salon business.